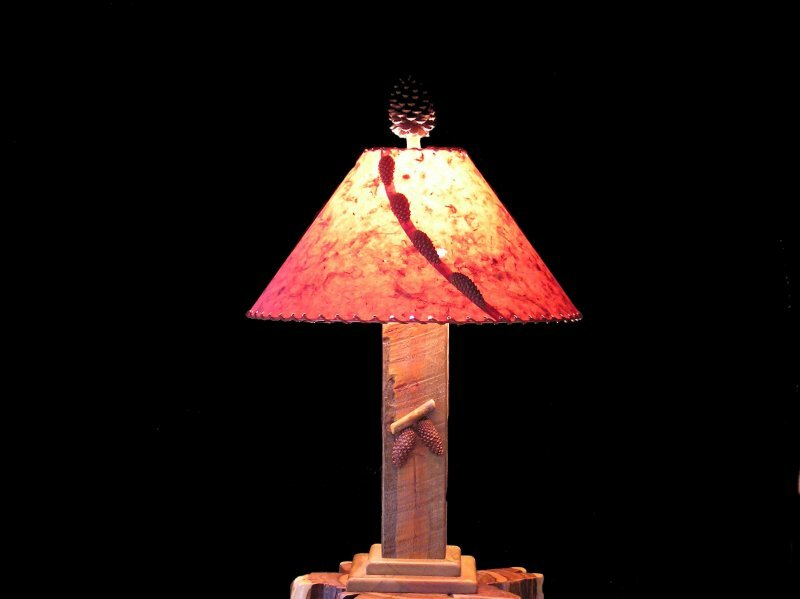 The Pine Cone Lamps are aprox. 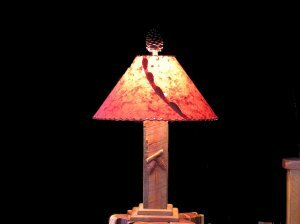 18" tall to the bottom of the lamp hardware. 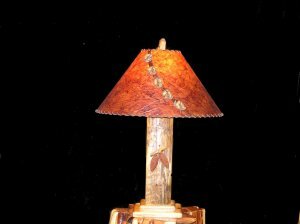 The rustic lamp body is made of pine which is stained a rich golden brown and in most lamps you can still see the curf marks of the circular saw. The pine cones in the front are real and gathered right off our ranch! Each lamp is finely sanded and finished with a catalyzed laquer. All lamps come with a 3way switch. 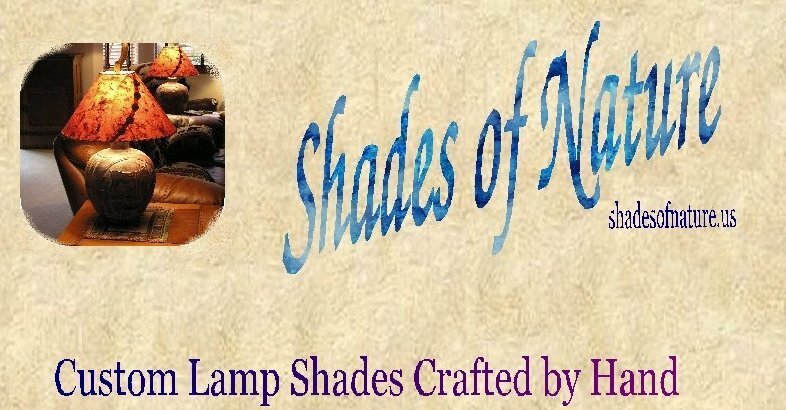 Choose one of our rustic lampshades to go with your new lamp and don't forget the pinecone finial to give it that final detail.